Internet is meant for Interactive MultiMedia. It's not a surprise to see the incredible widespread of Online TV everywhere we go. The entry barrier of producing a video is as cheap as your mobile phone and may be even as small as your SmartWatch. 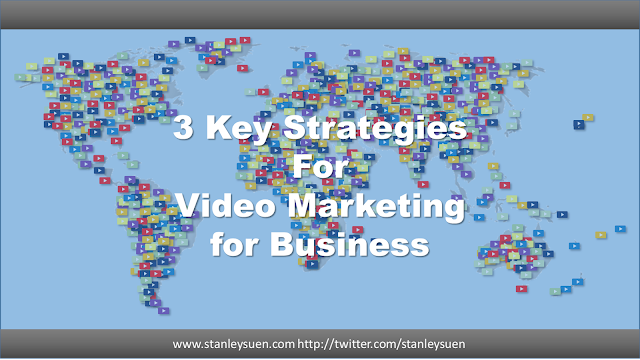 On the other hand hosting your video is free on YouTube, Vimeo and other Online Video site. Even the software needed to create your own private video site are available basically for free via open source software. Everyone will be able to a video production and a online video channel company. With bandwidth and storage cost increasing cheaper and available, we can only see that more and more online videos websites will pop up around the world. If you are in the space of social media marketing, you may be aware that there are more and more Loyalty Free media readily to be search and re-use in your video production. Just search "Creative Common" on Youtube or even on your google search engine you will find a lot of such free media available for you to use. So even great part of the content in producing the video will be free. Internet being Interactive and MultiMedia is best to push video. So we should be expecting an explosive growth in videos and video channels on internet today and onward. The future of TV Guides is right in front of us today but we may see them. Since online video channel does not need pre-arranged connection like cable tv and is just one click to an embedded video within a webpage away, there is no such thing as a "TV Guide" anymore. If we have to insist on such term, the TV Guide is everywhere embedded on many website or apps. Of course, there will be the Mega Ones vs lots of smaller ones. YouTube, Vimeo and many other online video hosting social media sites are the Mega TV Guide. Facebook is entering into this space big time making their competitive moves against YouTube as we speak. There are many online media sites curating videos from YouTube as their content such as Buzzfeed and Huffington. They are all the future of TV Guide right in front of us today. So that makes the Future TV Guide not a simple schedule of TV programs (cause there is no such thing as when the TV program will be watched) but the value add on how the site introduce the videos to their site visitors. The infinite choices of Videos or Online Channels only mean one thing for business who wants to promote themselves on internet: your content needs to be competitively interesting so your audience will stay before they press stop and switch to other programs. So the traditional ways of doing TV Advertising will not only stop working but in fact leave a bit of a bad taste in the mouth of your audience if done poorly. So when your prospects and customers have infinite other choices and they are much more intelligent and impatient, we have to do our business promotion the good solid humble BUT interesting way. In fact I do not really think of Social Media Marketing as a "Advertising Campaign" anymore but we interact with our customer daily and frequently and interactively to engage with them, educate them, deliver services and support them. I like to classify these actions in three strategies and I call it "SEE your customers"
We all know the importance of serving your customer well via delivery of your products and services as per your promise and beyond their expectation. This is the number one key for sustainable growth and success so we can earn referral from your customers. However, the "Referral" part is the key consideration in your social media marketing. We have to proactively created programs to promote our customer to make comments (positive ones hopefully) and likes & share so that they becomes our best marketing engine! Many business has been doing user groups or loyalty in the past. With the latest social media technologies, we need to "upgrading" these CRM programmes so that they from an integral part of your social media strategies. Content Marketing is at the key in social media marketing strategies. Gone are the days we use simple direct and hard selling style advertisements to push your products and services. In are the days where your promotional message should be story telling, entertaining, intellectual and even emotionally touching to win your customer's likes and shares. I am sure almost all of us wants to have elegant soft selling advertisements even in the traditional days. However, in the old days we have very expensive distribution channels (TV, Newsprint and Magazine) forcing us to squeeze our promotion message into short, direct and hard selling advertisement. We get use to this style and even got stuck with these kind of images and styles as "the marketing as we know it today". Internet and Social Media marketing are breaking this paradigm as we speak. The younger generation who does not watch much broadcast TV but more on YouTube understand and live and breath in this approach. It's the older generation to have some adjusting work to do. Anyway, in a nutshell, your content such as your YouTube video or Facebook video, needs to be attractive and interesting and so to bring out the key message about your brand and products. In today fierce competition on internet, the challenge is how to give your key message an attractive and interesting wrapping! While we are providing good serve or doing our interesting content for marketing, why not consider putting educational or creative ways of using your products in real life. Not only that this will help you to prevent customer lose due to insufficiently informed customer miss-using your products, it helps to turn them into your ambassador to promote your service. Furthermore, in the course of creating educational content in applying your products in real life, you will get endless and interesting topics that mix your products into everyday life of your customers. Every now and then you may even find a very emotionally touching case such as how your product help to make a surprise birthday party for your kids. In sum, this is more a long term strategic approach then a tactical short term promotion campaign approach. In social media space, engagement is daily and it's a long term enduring approach. While we can still promote discount programs or buy-one-get-one-free campaigns, bear in mind that these are easily replicated strategies from your competitors. Building a truly engaging social media marketing campaign can help you to build brands that is not easily copied by your competitor and can help sustain your brand for long term success. It will take a lot of deep thinking about your brand, your products, your customers and your competitors. When you execute the strategies, there will be lots of technical details, give-and-take decision making and internal alignment of different in opinions to be ironed out. That will be the time you realize that you will need the key strategies to provide guiding lights to lead the team to move forward!